Bangles are this season's must-have jewellery trend, the perfect accessory to layer with other dainty bracelets or wear alone, for that effortlessly chic vibe. 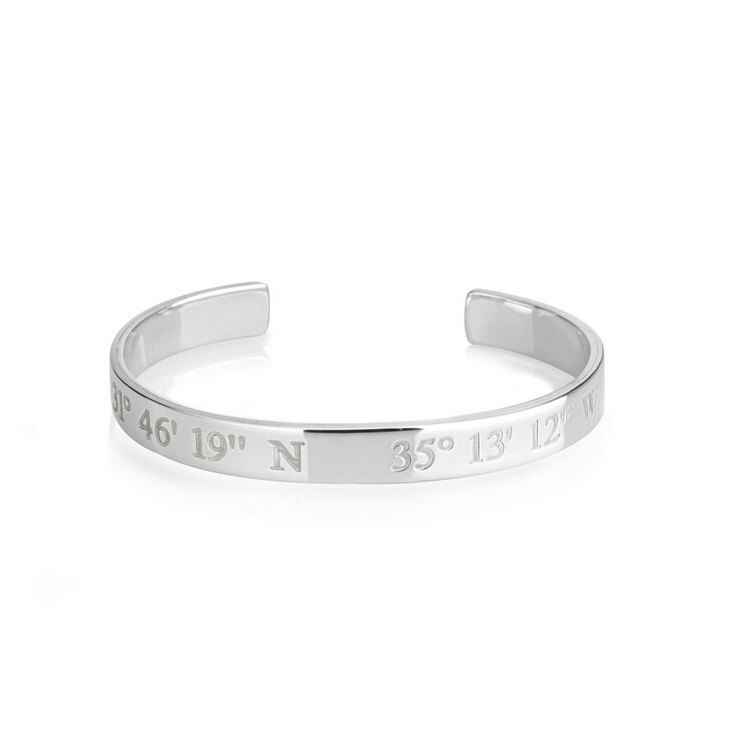 This Coordinates Bracelet is custom designed to suit your style, engraved with any location you choose, for the ultimate customised statement. 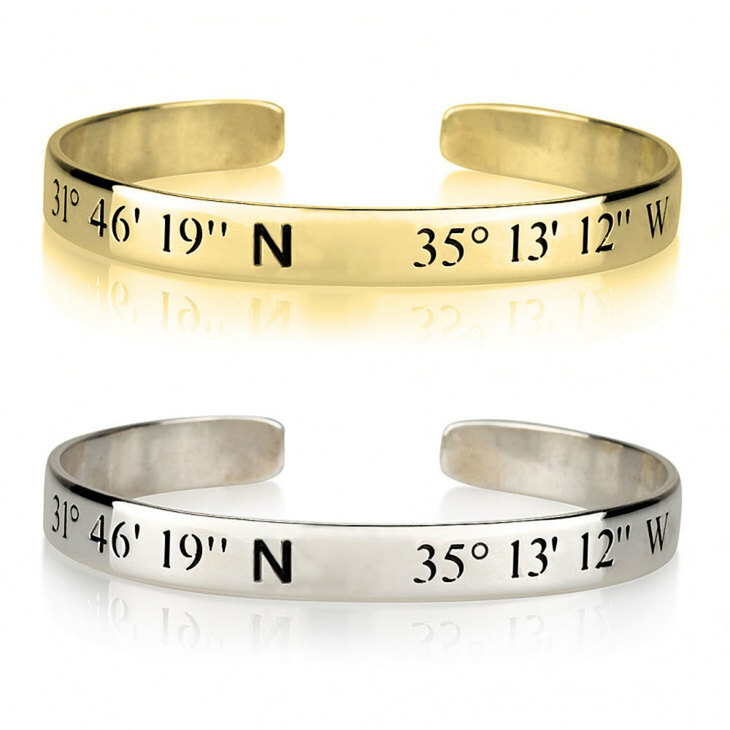 Whether you want to keep your childhood home close to your heart, or your favourite vacation destination, this custom coordinates bracelet will allow you to carry those memories with you wherever you go. Order your own today, free shipping worldwide! 150mm x 8mm / 5.9" x 0.3"
Looks perfect and feels great quality. A brilliant way to tell the person you love about a surprise trip. Looks perfect and feels great quality. A brillant way to tell someone you love about a surprise trip. I love this necklace. It’s perfect in all ways. It’s my go to necklace. It’s my second one because I lost my first one and I couldn’t live without it. It came it when expected! Good quality, and nice look ! !